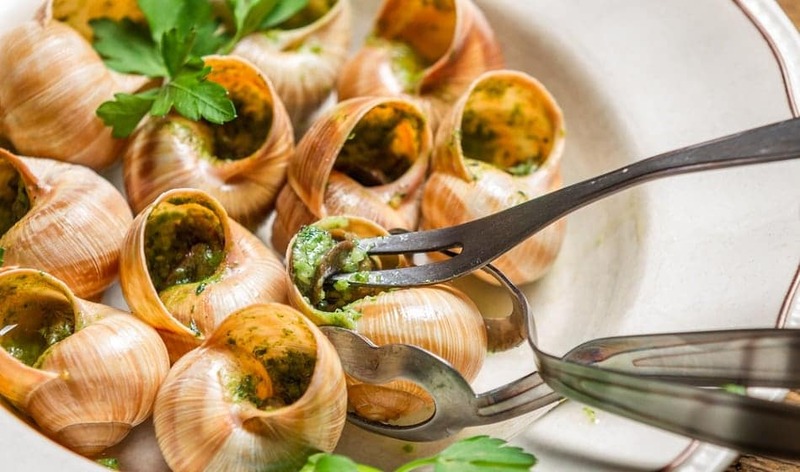 Escargots are cooked land snails. They are usually served as an appetizer in Portugal, Spain and in France, and are a typical dish in the Catalan region of Spain. Escargot is typically cooked in a rich, garlicky butter sauce. The snails used for escargot are particularly large. Escargot is the French word for “snail”.